Oh Snap is a Surrey and London-based business providing photo booth and VW wedding car hire to help make special days and events just that extra bit more fun and memorable. Established in March 2015, the Oh Snap team is already making their mark on the world with their excellent pictures and offerings to augment the best day of your life. 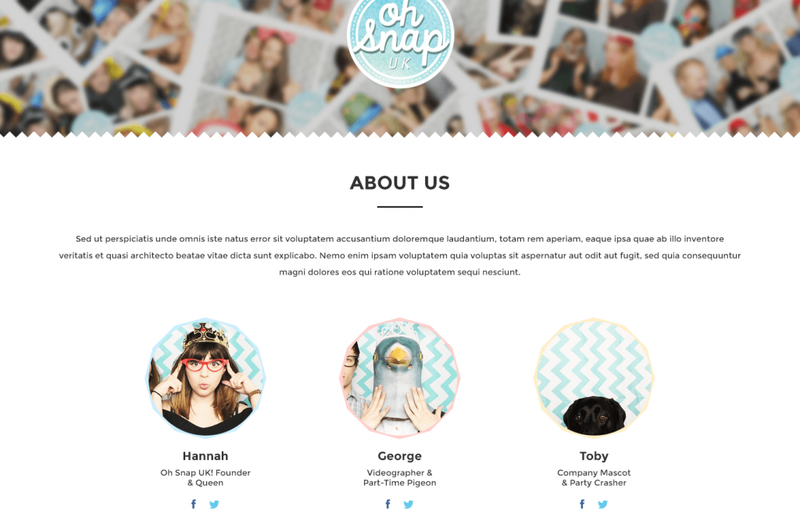 Oh Snap needed a website that could act as a portfolio for them, and show off what they’re really about! The nature of their business means that visuals would work best, and they needed a site that could help promote their services in a way that fit the company ethos, i.e. fun and aesthetically pleasing! Thunderbolt set to work designing a website for Oh Snap that would complement their quirky style, and worked closely with the company to allow them to have a certain level of creative input, meaning that the finished product felt truly personal to the Oh Snap team. 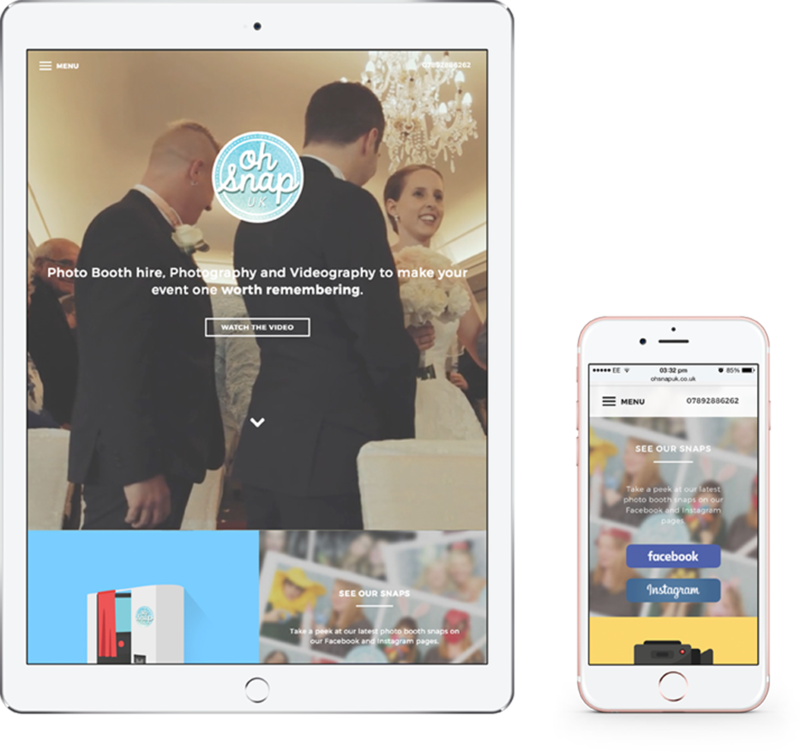 Like all of Thunderbolt’s websites, Oh Snap is designed to be mobile responsive, which allows potential customers on-the-go at events like wedding fairs to see examples of the firm’s different offerings. 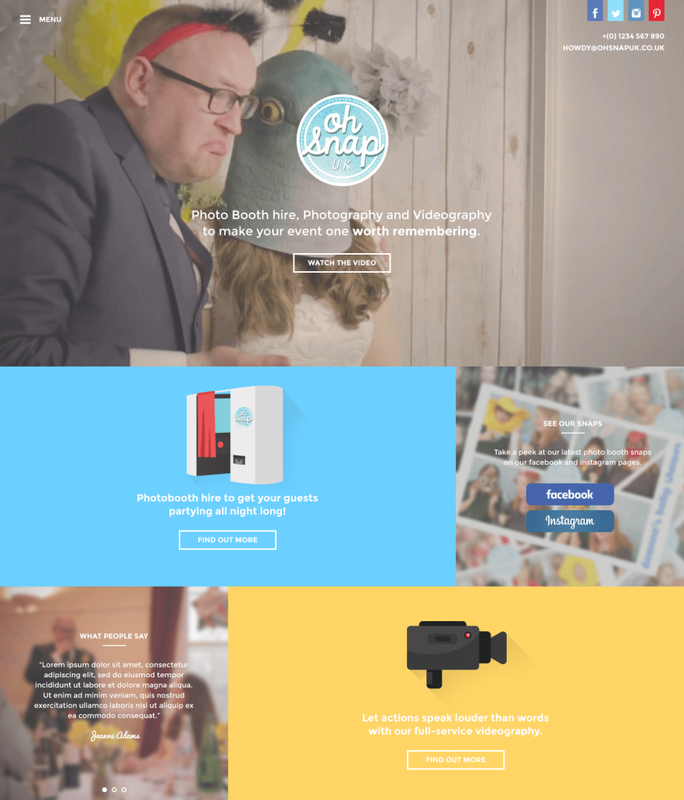 Oh Snap’s fantastic website design and build by Thunderbolt has also allowed the company to stay ahead of the number of new competitor photobooth businesses that have sprung up in the local area – but who don’t have a quality website like Oh Snap does! The business is also fairing much better than Oh Snap thought it would; the team expected to have to wait for around four years before they started to see a return on their investment, but the sheer level of bookings that the company have received through their site alone has helped see their business take off much faster than anticipated!